RVing Snowbirds may leave their chilly hometowns in the winter, but they don't leave behind their thirst for culture and art. Lucky for us, there are numerous exemplary art museums and galleries scattered across America's Sun Belt. Here are just a few. Sitting on the University of Texas campus, the Blanton Miuseum showcases art from across the ages -- ancient Greek pottery to abstract expressionism. 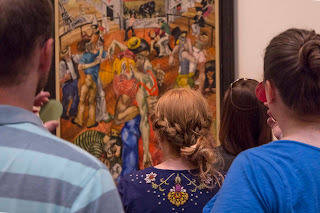 "With a year-round schedule of traveling exhibitions, art lovers [including Winter Texans] are sure to discover new and old favorites at the Blanton." With nearly 18,000 works in the collection, in addition to the touring exhibits, there is always exciting works on view that range "from across the ages, from ancient Greek pottery to abstract expressionism." The touring exhibition, Making Africa, showcases the work of more than "120 artists and designers and illustrates how African design accompanies and fuels economic, social, and political change in the continent." 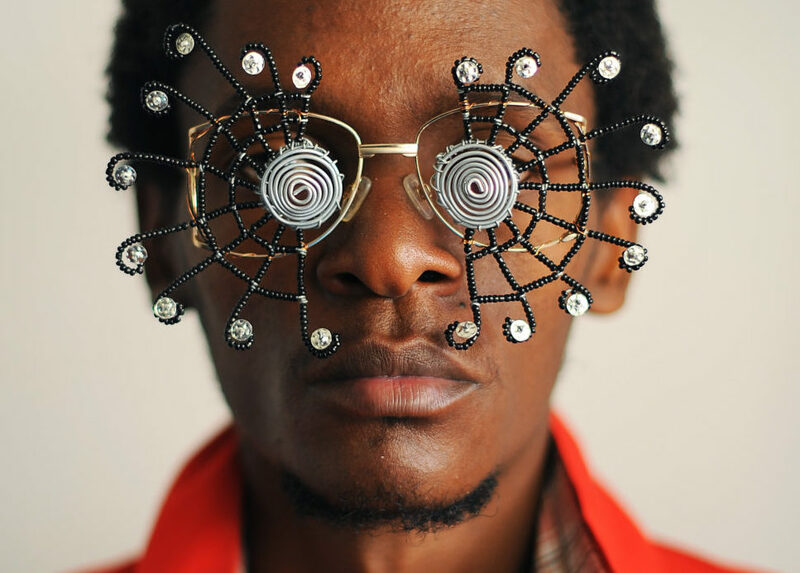 Organized by the Vitra Design Museum and the Guggenheim Museum Bilbao, Making Africa features work that ranges from "playful to provocative to political, the work often breaks conventional barriers between disciplines and expands the potential of design in the twenty-first century." Closed Monday. Thursday admission is FREE. If you are an admirer of American Indian art, and you are in the Pheonix area this winter, take time to visit the Heard Museum and be prepared to experience some of the very best creative and technically excellent work by Native American artists. 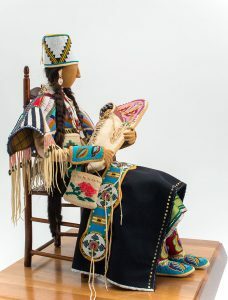 The Heard is dedicated to presenting the "stories of American Indian people from a first-person perspective, as well as exhibitions that showcase the beauty and vitality of traditional and contemporary art." The Henri Matisse exhibition explores "the surprising and little-known story of how Inuit people and culture inspired one of the 20th century’s most influential artists, Henri Matisse. Included in the exhibition will be works by Matisse that have not been publicly shown in the United States, and will reunite dozens of stunning Yup’ik (Native Alaskan) mask sets that have been separated for more than a century." "Matisse is celebrated for his sensuous approach to color and composition. Largely unknown to the general public, however, are his striking black-and-white portraits of Inuit people that were inspired, in part, by a group of Yup’ik (Native Alaskan) masks." The Heard Museum will be the only venue to see these original works of art. The Heard Indian Fair & Market is the largest art market in Arizona. There will be more than 600 Native artists from 116 tribal affiliations in the U.S. and Canada. "A variety of traditional and cutting-edge media dazzle visitors each year." There are live performances on two stages, storytelling and crafts, book signings, artists' demonstrations and featured artists. View the 2018 Best of Show Award by Jamie Okuma ( Luiseño/Shoshone-Bannock): Protect, Honor, Cherish, a beaded soft sculpture of a Shoshone mother with her child in a cradleboard. 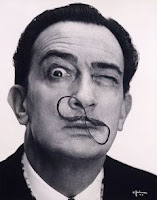 "The Dalí Museum celebrates the life and work of Salvador Dalí (1904-1989) and features works from the artist's entire career. The collection includes over 2,000 works from every moment and in every medium of his artistic activity including 96 oil paintings, many original drawings, book illustrations, prints, sculpture, photos, manuscripts and an extensive archive of documents," according to museum literature. One exhibition not to miss is Magritte and Dali. It "is a first-of-its-kind special exhibition dedicated to the world’s two most celebrated surrealists, Rene Magritte and Salvador Dali. Showcasing carefully curated, exemplary pieces from Magritte’s and Dali’s works, Magritte and Dali pushes back the curtain to reveal what lies beyond the simple appearance of painted images. The two preeminent surrealists opened the mind to an alternative view of the world, constantly challenging reality."